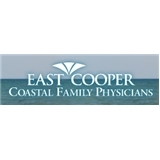 East Cooper Coastal Family Physicians (Mt Pleasant) - Book Appointment Online! Located in Mount Pleasant, South Carolina, our quaint family-like practice serves patients from across the Lowcountry including greater Mount Pleasant, downtown Charleston, Daniel Island, West Ashley and North Charleston. At East Cooper Coastal Family Physicians, we offer consultation, diagnosis and treatment for a variety of medical conditions for the entire family. Our physicians collectively bring years of wide-ranging medical training and experience. From pediatric medicine to geriatrics, our physicians have a variety of expertise to care for your family. The extensive staff also shares additional knowledge and experience that greatly contribute to patient outcomes. Our 88 YO father was impressed even before meeting Dr. Morgan. While sitting in the waiting room, Dr. Morgan visited the receptionist and noticed our family through the window glass. He waved and smiled at Dad. Dad felt the acknowledgement was an important small touch that made him feel good. Later, in the patient room, Dr. Morgan made my father feel comfortable, reassured, and informed. Dr. Morgan's PA, Margaret Tanner, PA-C, preceded Dr. Morgan and also was friendly, attentive, and professional. She briefed Dr. Morgan thoroughly before Dr. Morgan met Dad. It was a good visit. Dr. Stroud is a very personable man. He is very down to earth and easy to talk to and he listens to what you have to say. I am looking forward to having him as my Doctor. Thorough exam, listeneg patiently to concerns. Excellent doctor. Always listens and is quick to offer thoughtful solutions to problems.